Forget lawn maintenance! TigerTurf Everglade Fescue Light is the perfect landscape for residential and commercial properties across the nation! Excessive watering and unnecessary maintenance bills are a thing of the past! Everglade Fescue Light artificial turf features beautiful dual field and olive green colors with a brown thatch layer for that added natural appearance. The proprietary omega fiber not only provides a realistic appearance, but it also allows light to moderate foot traffic. Everglade Fescue Light artificial grass is equipped with a state-of-the-art backing that utilizes tuft bind technology. Each grass blade is triple reinforced into the backing which provides this turf an exceptionally strong resistance to pull force. 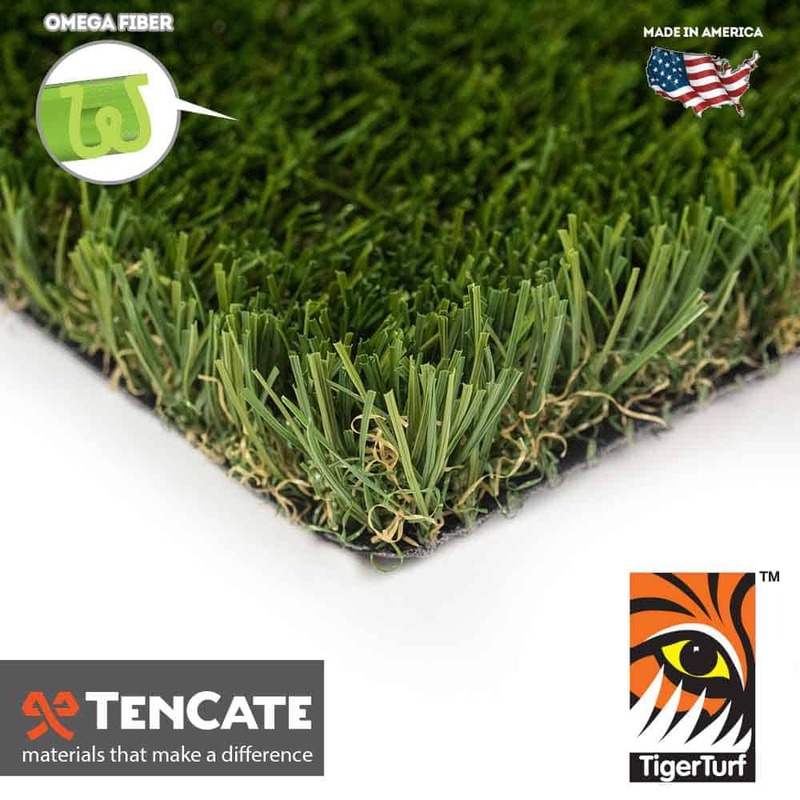 In addition to the latest in synthetic turf tuft bind technology, the backing is also perforated so liquids can easily pass through without the residue. Each blade contains U.V. technology that will prevent your synthetic turf from fading! The sun is no match for Everglade Fescue Light! Choose a landscape that saves you and your clients time, water and money! Everglade Fescue Light is guaranteed to last for years to come!